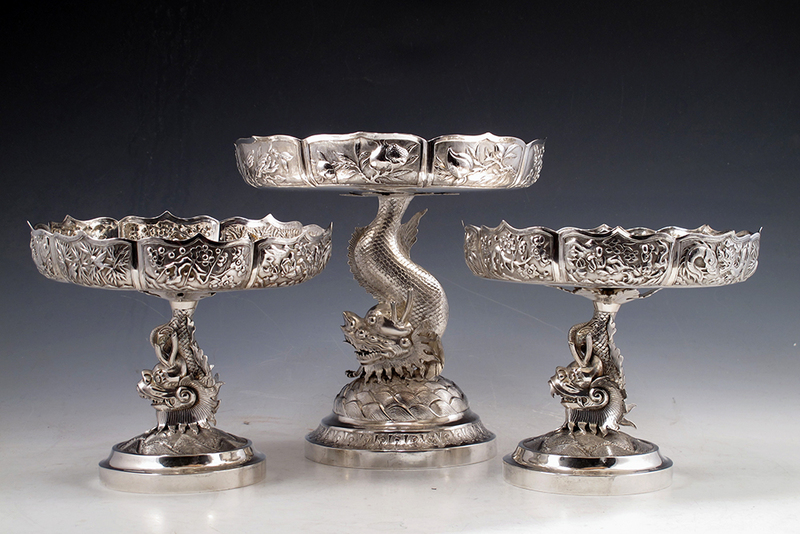 A dazzling set of three Chinese export silver compotes each with dramatically cast figures of dragons supporting lotus form shallow dishes, each lotus petal with different repousse Chinese designs of bamboo, prunus, peach, peony and pomegranate, the whole raised on wave-molded bases. Each piece marked for Wang Hing from Hong Kong, late 19th/early 20th century. 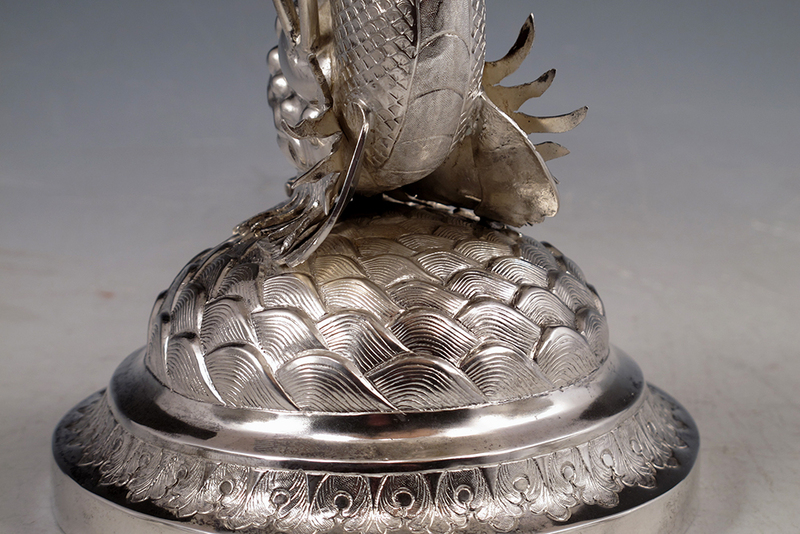 A truly spectacular garniture of silver for one’s table or collection. The tallest centerpiece 7 1/2″ tall, the pair 5 1/2″. Excellent condition. Priced as a pair and a single piece.